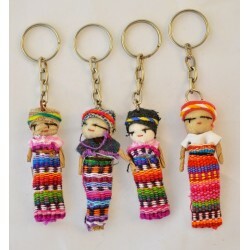 Two inch worry doll on keyring. Weight .2 oz. 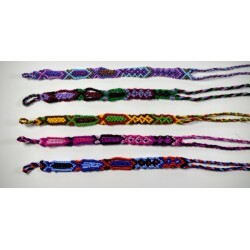 Choose from 2 sizes and a variety of colors including black, rasta/reggae, earth, rainbow, and multicolor, on the drop down menu. 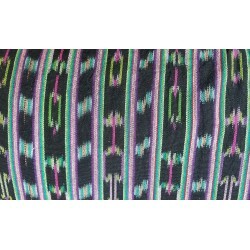 Elastic in back, colorful scarf material expands out. The large holds lots of hair. 100% cotton. 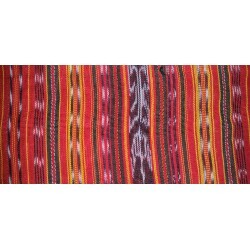 The amazing hand loomed jaspe cotton fabric that the Mayans weave is at the heart of many products presented on this website. 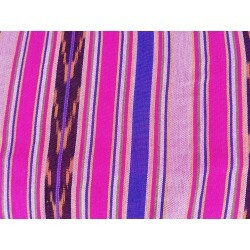 This type of cloth is referred to as ikat in some areas. 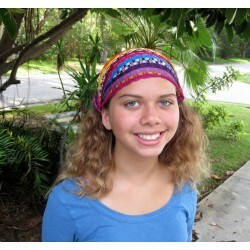 We now stock several types of cloth ready for immediate shipment from our warehouse in Florida, USA. 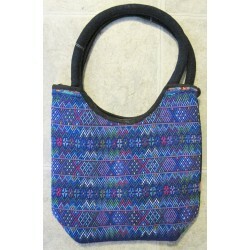 The patterns can vary a bit as the cloth is hand dyed. Price is per yard. 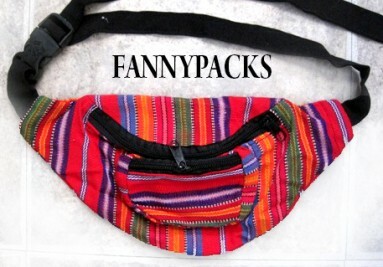 Multi pocket fanny pack with adjustable waist. 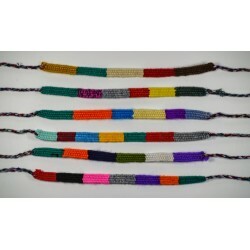 Click on the drop down menu to see many different styles, including multicolor, rainbow, rasta, speckled, solid colors and earth. 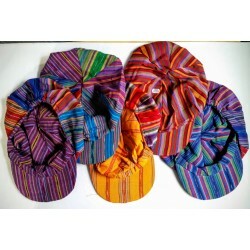 Newsboy (large baseball) hat, Reversible, in a variety of multicolors. CLOSE OUT. 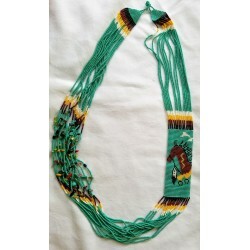 20 inches long, the horse beadwork is 2 inches wide. Weight 4.5 oz. 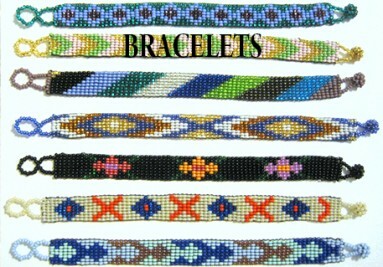 These are all in these colors. Close out. 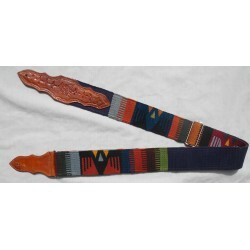 Assorted colors in this intricate native design. This is made by just a few older folks in Santiago. It is incredibly strong and colorful. 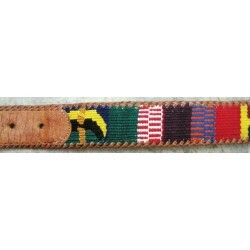 They have stopped making the belting, and this is the last that we will be able to offer. 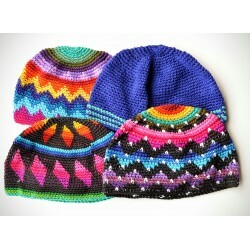 Products come in assorted colors. 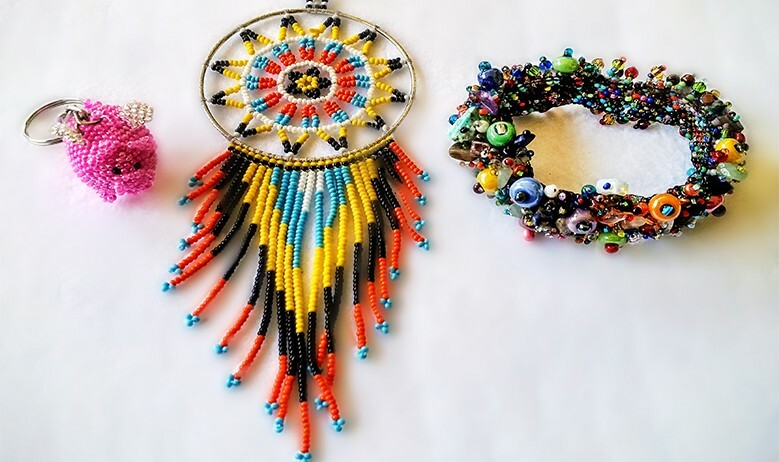 Pictures are representative only - colors and patterns vary. CLOSE OUT. 11 inches wide by 11 inches tall. Close out. Wt. 6 oz. Beautiful work throughout. 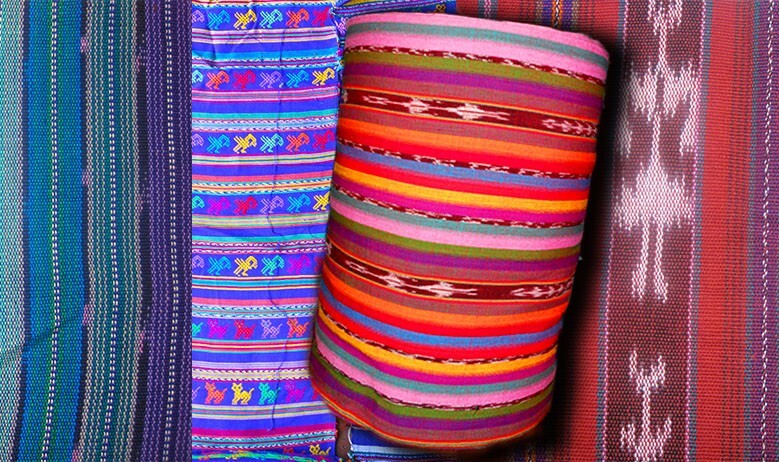 Huipils are beautiful traditional hand made garments that display geography, ethnicity, and other cultural aspects, and are made to last a lifetime. They are nothing less than artistic treasures. 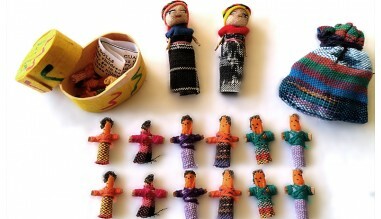 Bag of 6 worry dolls. 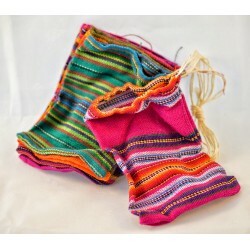 Drawstring bag contains 6 one inch dolls; bag 2.5 inches tall x 2 inches wide. Product weight: .13 oz. Excellent for retailing, marketing, mailing, trade show giveaways, and more. x Contact us for large quantities. For example, 150,000 typically takes 6 weeks or so to fabricate. Click on the dropdown menu to see many different styles. 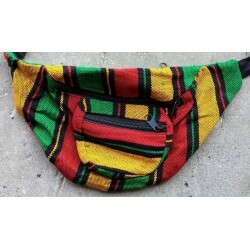 Including several versions of 1/4 inch, 1/2 inch, rayon, rainbow, and rasta / reggae. 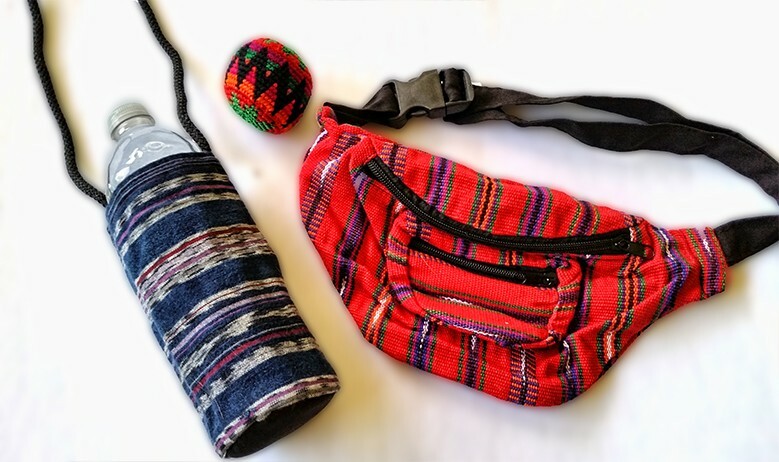 For 1/4 inch cotton block where you choose colors, be advised that you must order at least 240 of each colorway, and allow approximately 6-8 weeks to receive the product. 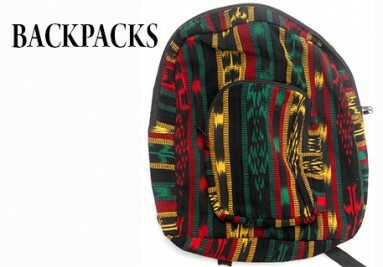 HUGE OVERSTOCK SALE. Price goes back up when we sell the overstock. 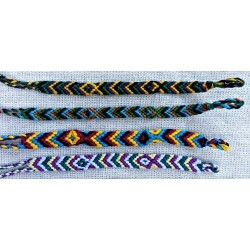 3/8 inch wide. 4.5 inch body with 5 inch ties. Many assorted colors. Click on the dropdown menu to see many different styles. 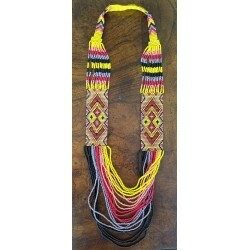 Included are many versions from 1/4 to 1.25 inches wide, in cotton, rayon, and acrylic. The Rayon versions are on close out. 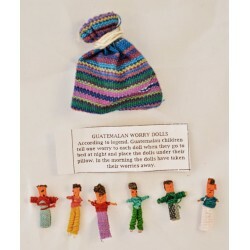 This product is a box of 6 worry dolls with the written explanation inside. The dolls are 1". Box is pine and 1.75" long x 1" wide x 1.25" tall. Product weight: .18 oz. 2.5 inches x 4 inches. 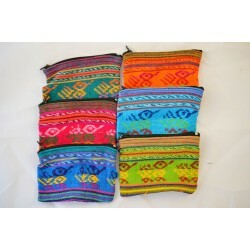 Our coin and cosmetic bags are quite durable. 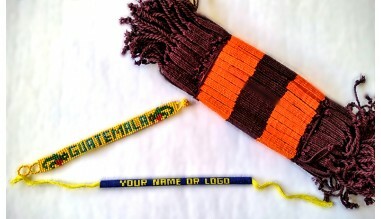 High quality zippers used in all products. Bag of 6 worry dolls in plastic bag. The plastic bag can help in mailings and for displays. 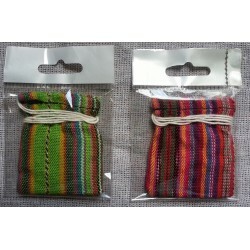 Drawstring bag contains 6 one inch dolls; bag 2.5 inches tall x 2 inches wide. Product weight: .13 oz. 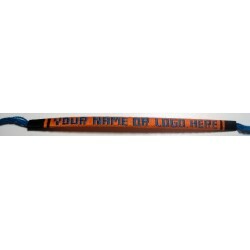 Excellent for retailing, marketing, mailing, trade show giveaways, and more. Ships from our warehouse in Tampa, Florida, USA. 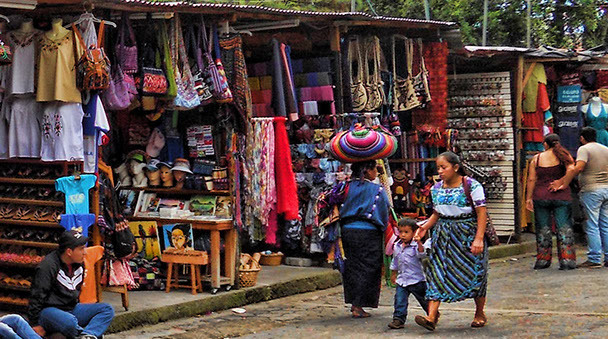 Our US port of entry is geographically close to Guatemala for timely fulfillment of large or custom orders.